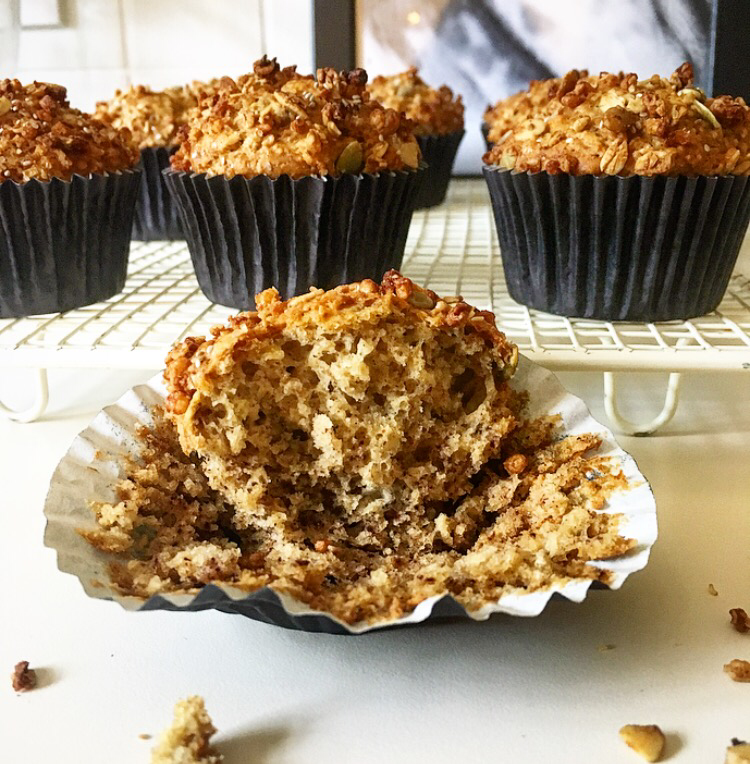 If you’re a fan of banana bread then you’ll love these delicious oaty, banana muffins. 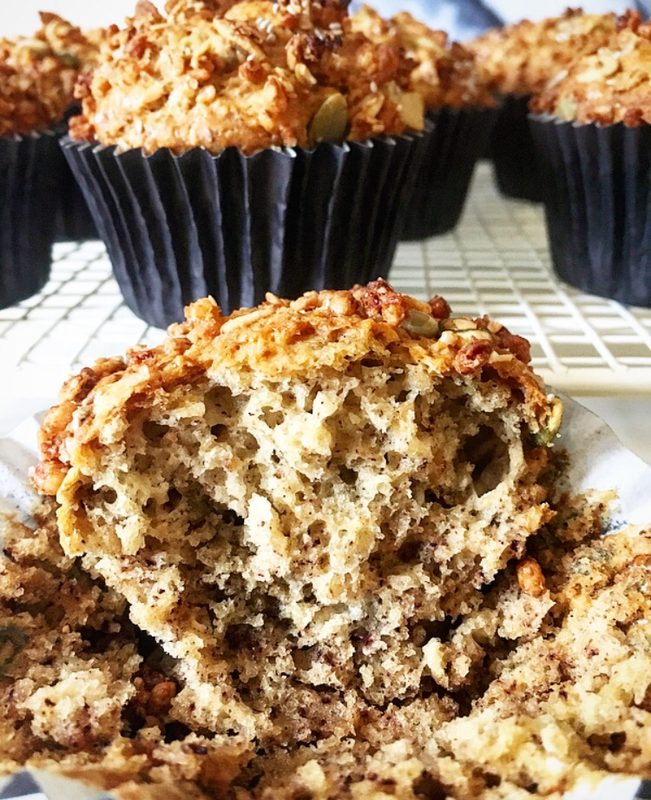 The invention of the vegan friendly version of these muffins came about due to a festival that I am currently catering at called Wise Words festival. I’d been selling wood-fired pizza and a selection of homemade cakes including my regular banana muffins, which are always an early sell out, however nothing dairy-free. 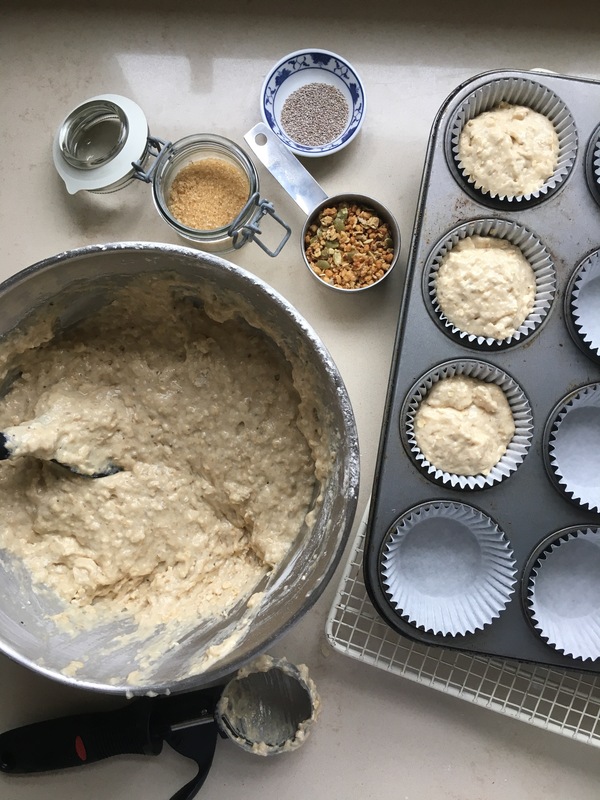 After a lot of requests from my vegan customers (the festival seemed to attract a lot of vegetarians or vegans) for a vegan cake I decided to tweak my muffin recipe so that it would suit everyone. 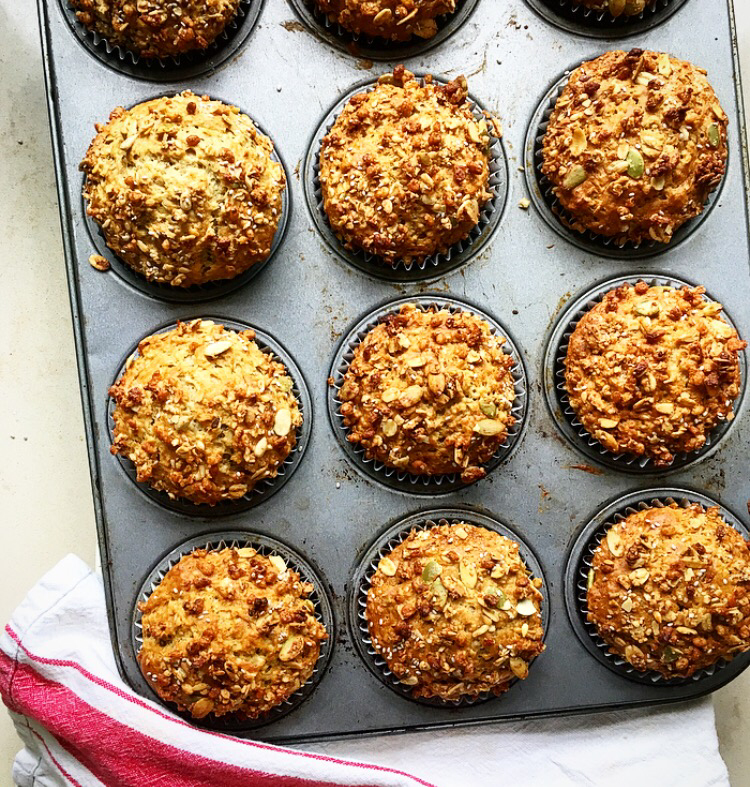 This recipe lends itself really well to being made dairy-free as it doesn’t usually contain any butter and almond milk is a great swap for buttermilk. I actually use almond milk a lot myself at home so there is always some in the fridge. It’s also a great way for using up over ripe bananas, in fact the riper and blacker they are the better! I think the vegan version is even better than the non-vegan one so I am glad I experimented. 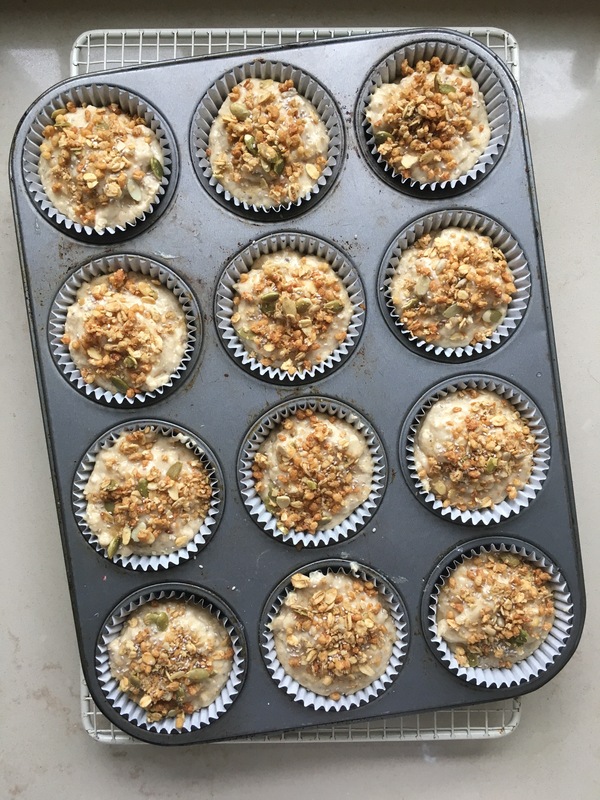 They’re really simple and can be made from start to finish in less than an hour so are idea for those who enjoy baking but perhaps don’t have the luxury of much time. There is no specialist equipment either just a couple of mixing bowls, if you don’t have a stick blender simply mash the bananas with a fork instead. 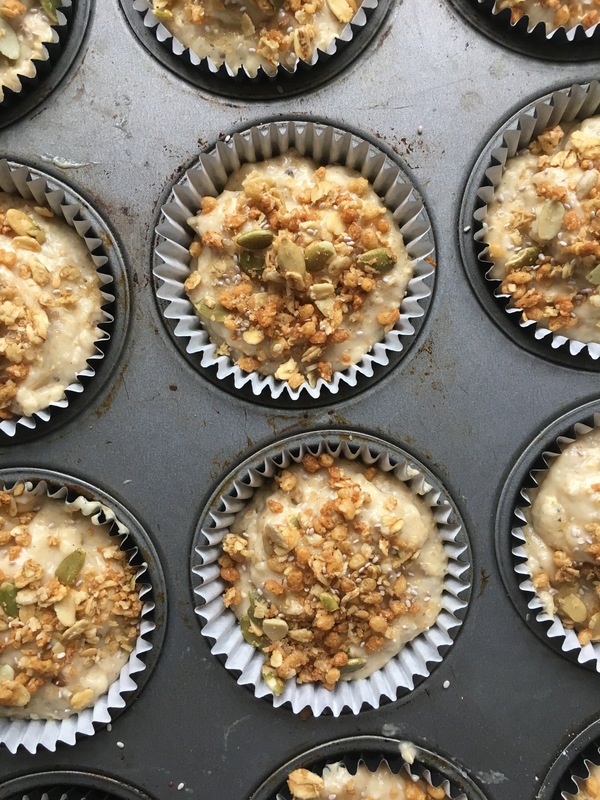 Although not strictly a healthy bake due to the sugar content they do contain lots of lovely super healthy ingredients like chai seeds, flax, coconut oil, oats and banana. 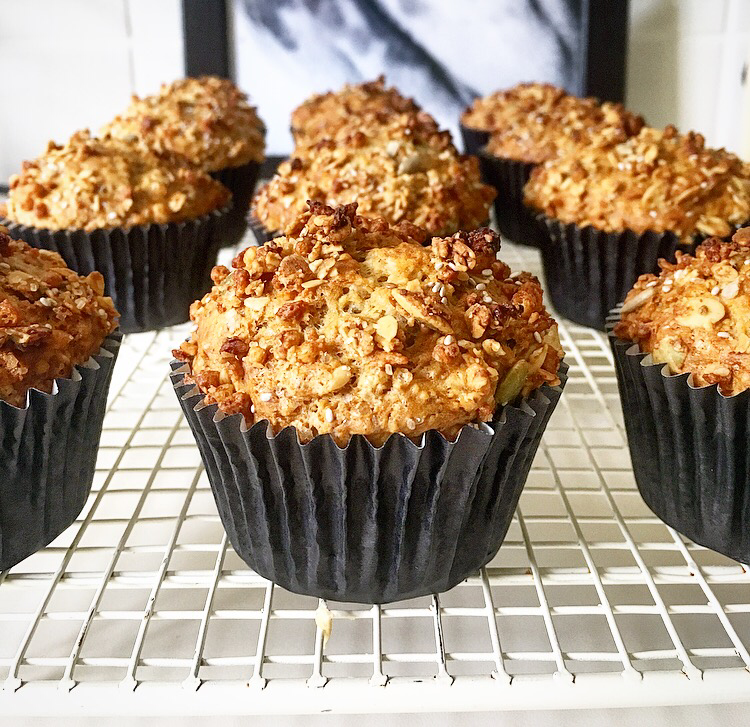 They’re ideal for breakfast or brunch on the go and can either be frozen once baked or they will last a good few days in an airtight container so make a batch at the weekend to see you through the week. If you’re not a vegan or following a dairy-free diet you could swap the flax and water mix for 1 egg instead and use buttermilk instead of dairy-free milk depending on what you have in the cupboard or fridge. Happy baking! 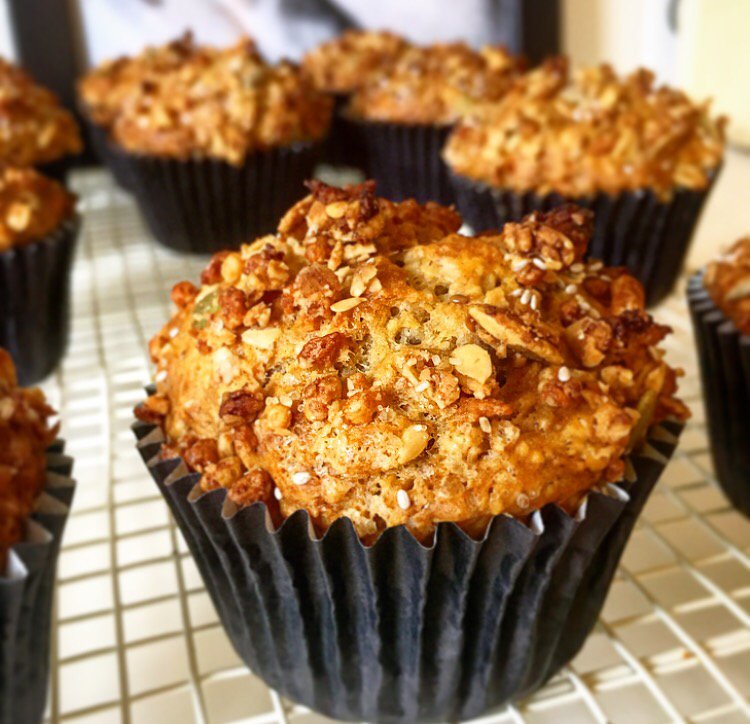 Vegan Banana, Chai & Oat Muffins with Crunchy Granola Topping. Line 12 holes of a muffin tin with paper cases. Heat oven to 200C/180C fan/gas 6. 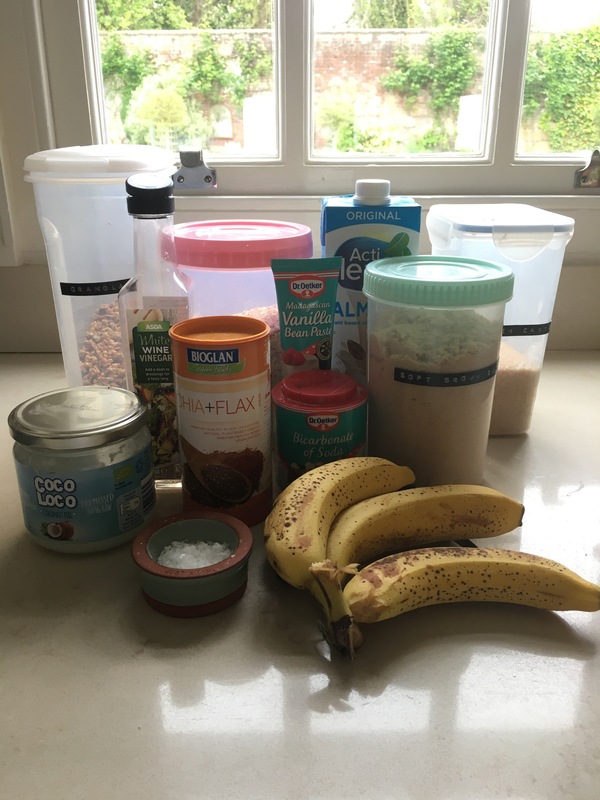 Mix the flaxseed & chai mix with the water until smooth and add to a jug or mixing bowl with the banana, vanilla, coconut oil, milk and vinegar then blitz with a stick blender until smooth and combined. Put all the dry ingredients apart from the extra tbsp. 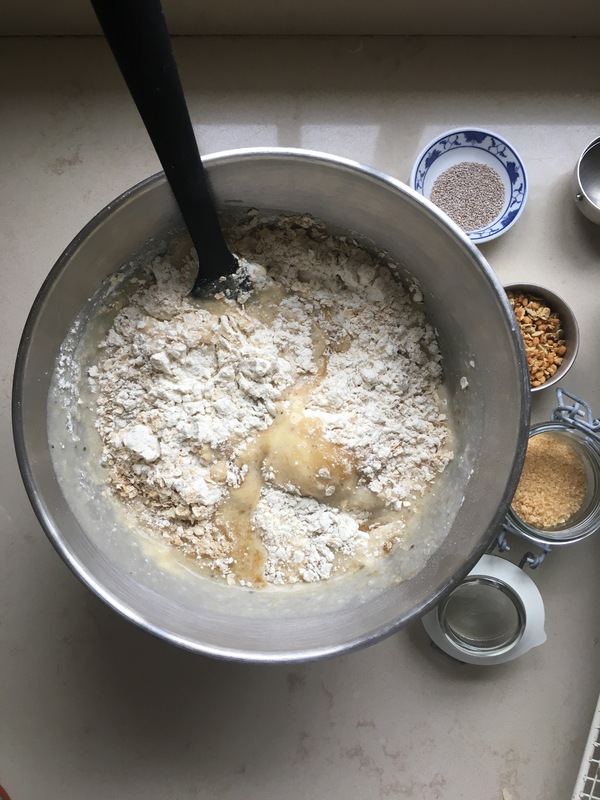 of sugar and the granola in a bowl and then add the wet ingredients. 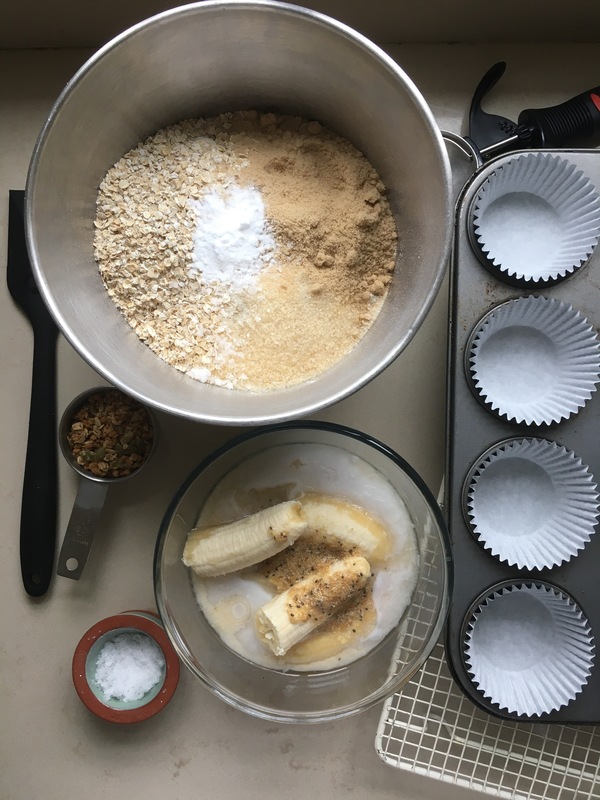 Quickly mix using a large metal spoon or silicone spatula until just combined, don’t over mix or the muffins will be tough. Yummy. Will have to try.